Get free advice and estimates from interior designers in your city. Architecture and interior design sometimes go hand-in-hand but can be at odds with one another. One example is the internal layout of a home, whether it has a closed or open floor plan. In a traditional or closed floor plan, each designated area of the home becomes a separate space or room, enclosed with walls. In an open floor plan, no walls exist between the different areas, so a living room, kitchen, and dining area may all share one large space. Open floor plans receive a lot of attention in real estate listings and interior design schemes, but they are not always the best choice for every home or family. We explain the differences between them below so that you can make a more informed decision for your home. 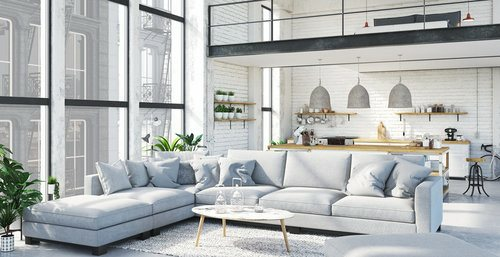 Open floor plans are often associated with a more contemporary and modern style, such as those seen in lofts or industrial-style homes. Aesthetically, it can be difficult to designate or give a separate feel to each area of the room. Because it is one large area, it can be harder to design. The entire room needs to be cohesive, which means that furnishings for a dining room and living room need to not only coordinate with one another but also with the kitchen. In a closed floor plan, each room can have an individual style, color, or theme. So, while your interior design may be cohesive throughout the entire home, not every detail needs to match, which provides more options and can make designing easier. One advantage that open floor plans offer, however, is in the lighting. Without walls to break up the design, natural light can filter throughout the space, making the home feel brighter and larger. Open floor plans have many advantages when it comes to space. Without walls to break up the flow of the room, it allows people to move around more easily, both for accessibility and socializing. Open floor plans also offer a better line of sight for parents of small children because there are no walls for the children to hide behind. This style also offers more flexibility when it comes to how you use the space. When there are no walls, it is easier to redesignate areas for different purposes by enlarging or shrinking the area. Walls used in closed floor plans may make areas feel smaller and chop up the home visually. On the other hand, this can also have the effect of making rooms feel cozier and warmer. Installation or construction of either floor plan takes on two different methods. In an existing home, if you want to convert a closed to an open floor plan, you may be able to remove non-load bearing walls 1 more easily than it would be to construct new walls. However, if the walls are load-bearing, removing these walls can be a difficult, time-consuming, and expensive process because that load must be transferred elsewhere. In this case, the process will be harder than constructing a new wall. In the case of new construction, the architecture of the house plays a role in total costs. 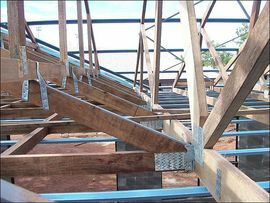 Homes that use a truss 2 system for load bearing allow walls to be built easily or for an open floor plan to be created. Homes that require the walls to bear loads means higher installation costs for the walls themselves. However, truss 2 systems are often more difficult to execute, which can mean that a closed floor plan could actually take less time to build. Costs affecting each floor plan are largely influenced by the architecture and structure of the building. Assuming that an existing home with a truss 2 system has walls added or removed to change the current floor plan, the costs to build are similar, with both projects totaling about $1,000. In the case of building the wall, this includes $9 per sheet of drywall 3 and lumber at $20 a foot installed. In the case of removing a wall, this includes the cost of hauling away the debris at around $100 to $300. However, if wires or pipes running through the wall are being removed, the wall is load-bearing, or the wall being built has a doorway or plumbing, your costs will rise. Keep in mind that taking out a wall requires finishing of the floor and surrounding area, while building a wall needs paint and possibly molding. Therefore, while the basic costs are similar, they can vary widely depending on finish, location, and quality of materials used. One thing to keep in mind with the associated costs is energy usage. Open floor plans can be more difficult to heat and cool, which can raise energy costs. However, open floor plans require less electricity in general because natural light can be more abundant. 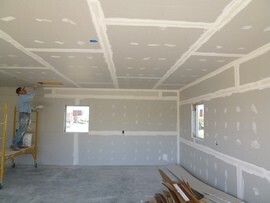 Therefore, the size of the rooms, number of windows and exterior walls, and insulation need to be factored in as well. When it comes to privacy, however, open floor plans have limits that closed floor plans do not. Without doors or separate rooms, it can be more difficult to carry out certain tasks without others seeing you. Walls and doors offer more sound-proofing for the home, giving greater privacy as well. Some people dislike cooking smells in the house. In an open floor plan, the kitchen is open to the living areas of the home. This means that strong cooking odors travel throughout the house. For some people, this can be a drawback, particularly if you cook with spices or are susceptible to smells. Floor plans have advantages and disadvantages when it comes to cleaning. With clutter, it can be easier with a closed floor plan to shut the doors to certain rooms when company comes to make the home appear cleaner. However, with an open floor plan, the flooring usually remains the same throughout a space, which can make cleaning faster without the need to switch between cleaning implements. Open floor plans offer more flexibility for furniture layout, room design, and creating traffic flow. For this reason, they can be more accessible for people who use mobility aids because fewer doorways and hallways, which may be too narrow for easy travel, exist. Depending on the location, market, and architectural style of the home, open floor plans may have an advantage when it comes to resale. Many people like the open concept, which has been increasing in popularity in the last several years. Therefore, they pay more for a home with an open interior than for a similar home with a closed floor plan. In fact, more than 70% of buyers request an open floor plan in the homes they look at, which may make an open floor plan more saleable as well. How much does it cost to go for a closed or an open floor plan in my city? Cost to go for a closed or an open floor plan varies greatly by region (and even by zip code). To get free estimates from local contractors, please indicate yours.